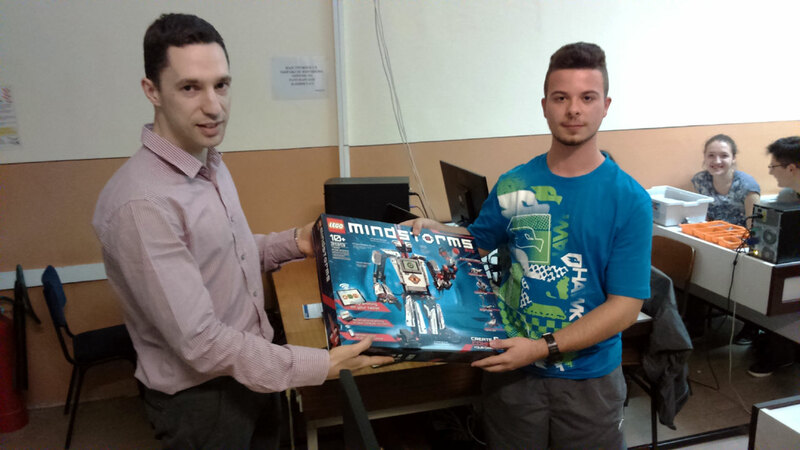 This year, too, Intersection organises numerous activities within the project “Robotisation of Serbia“, under the auspices of the Center for the Promotion of Science, in cooperation with the team from the School of Electrical Engineering of the University of Belgrade, in order to draw robotics and engineering closer to pupils, especially in the interior of Serbia. The team from the “ETF Robotics” Laboratory is headed by the Assistant Professor Kosta Jovanović, PhD, also a member of Intersection. Since March 2014 till today, within the “Robotisation of Serbia” Project, we have visited Smederevo, Jagodina, Loznica, Užice, Smederevska Palanka, Kostolac, Valjevo and Čačak. 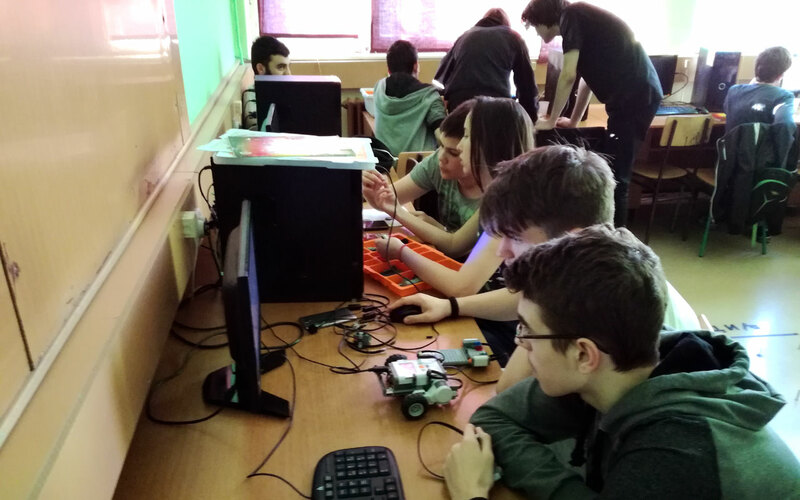 Each visit was accompanied by the lecture “How Far have the Robots Gone” and by the workshop “My Lego Robot” during which participants had an opportunity to construct and program their first robot. 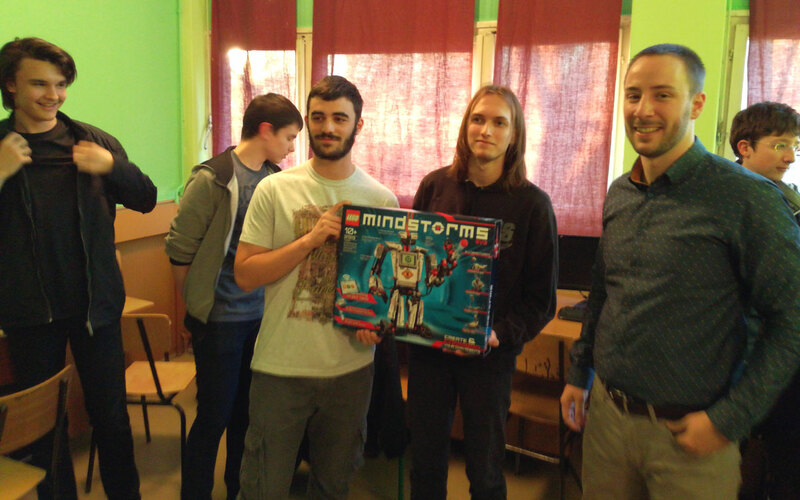 Competitions were also a part of the program and the best school team won Lego Mindstorms EV3 set, to be permanently owned by the school. During the competition, pupils proposed very interesting solutions, which indicates that, under adequate conditions, students can express their creativity and innovativeness and reach their true potential. 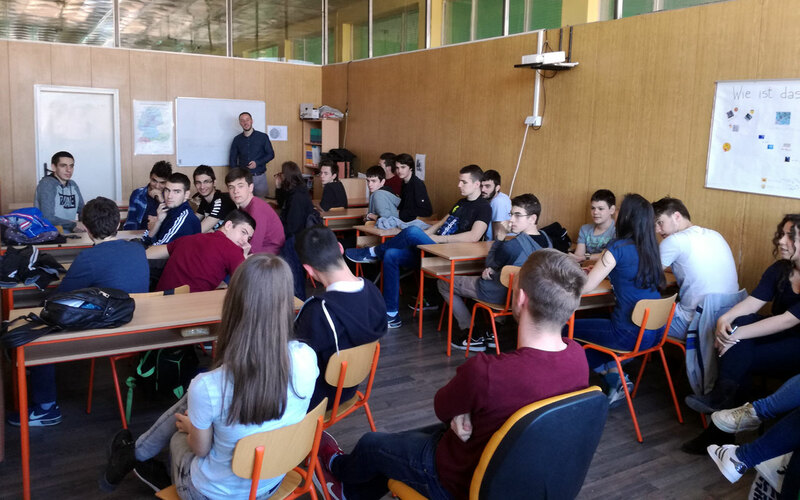 We plan to expand this activity to other towns in Serbia in the future in order to boost the interest of pupils in engineering in the most balanced and intensive way. The activities have been so far supported by Erste Bank and Comtrade company.